I do not decide how much your home is worth – and neither do you. The condition of the property affects the price and the speed of the sale. As prospective buyers often make purchases based on emotion, fi rst impressions are important. We’ll work with you to optimize the physical appearance of your home to maximize the buyer’s perception of value. Are you curious to find out how much your Woodbridge VA Home could sell for in today's Real Estate Market. 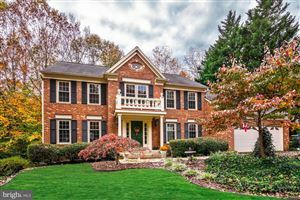 You can find out here what your Woodbridge VA Home is worth. You can find a few quick tips to preparing your home for success. Stand out from the competition. The better your home shows the quicker it will sell. Also keep in mind LESS is more when getting your home ready. What do I mean by less is more. Get rid of as much clutter, clunky furniture and more. Your home will show so much better and more important it will look much larger too.